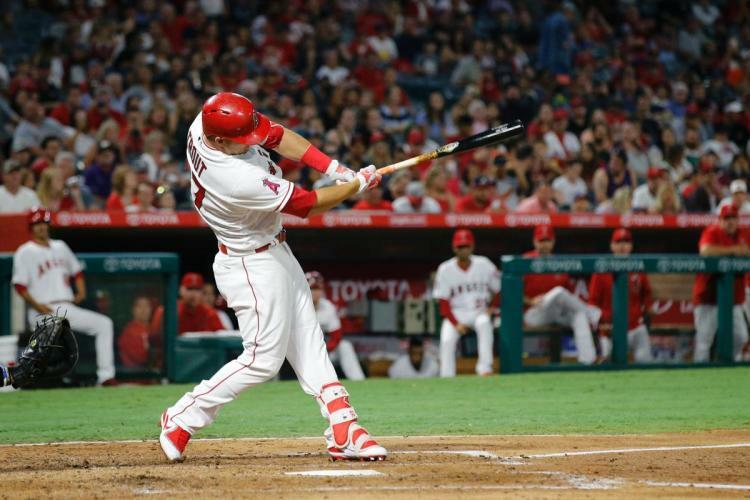 Los Angeles Angels outfielder Mike Trout doubled for his 1,000th major-league hit Monday, and later added a solo homer to go 2-for-4 on his 26th birthday. The Baltimore Orioles won the game, 6-2. Trout has homered on his birthday four times in his six-year MLB career, doing so in 2012, 2013, 2015 and 2017. While that’s just a fun fact, the two-time American League MVP has an undeniably impressive resume — and it really started in the Midwest League. In 2010 — Trout’s second professional season — he batted .362 with six homers, 39 runs batted in, 45 stolen bases, and 76 runs scored in 81 games with the Cedar Rapids Kernels. That earned him a promotion to High-A in early July, and he later was named the Midwest League MVP and Prospect of the Year for that season. Trout missed over a month of playing time this season because of a thumb injury, but has been typically impressive while healthy. He is batting .346 with 23 HR, 52 RBI and 13 SB in 68 games with the Angels this season. This entry was posted in Cedar Rapids Kernels, Midwest League. Bookmark the permalink.